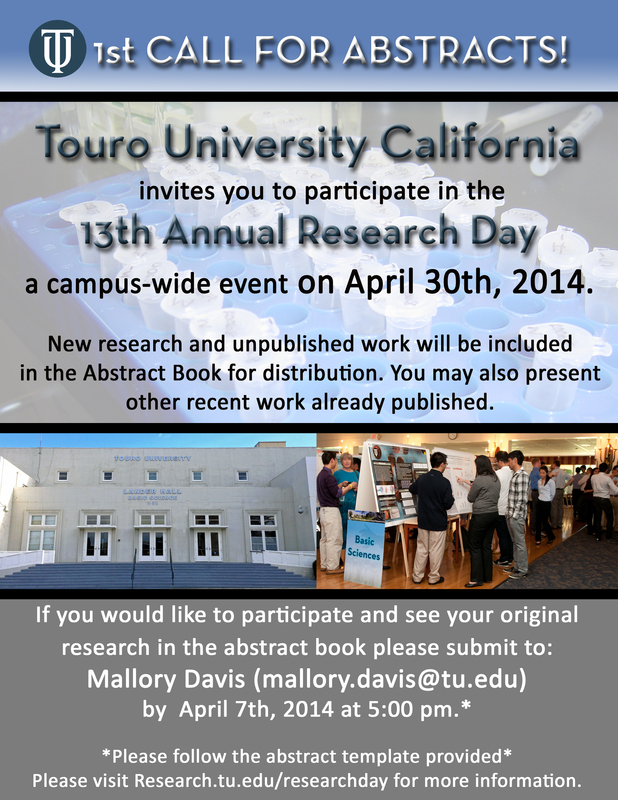 TUC invites you to the 13th Annual Research Day! The event begins with lunch from 12:30-1 p.m. in Lander Hall, Lecture Hall A, followed by Keynote Speaker Ira Schwartz, Ph.D., professor and Chairman of Microbiology and Immunology. Oral presentations will be given between 2-3 p.m., followed by the Poster Session and Reception from 3-6 p.m. Wine and hors d’oeuvres will be served. Learn more.